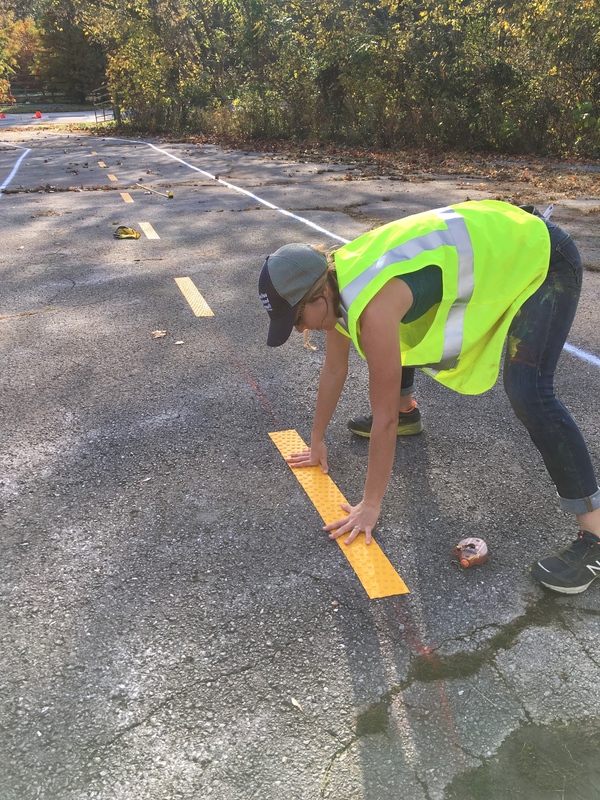 Description Contractor grade traffic tape is more robust and durable than foil backed traffic tape. Many roll length, width, and color options are available, including standard white and yellow. 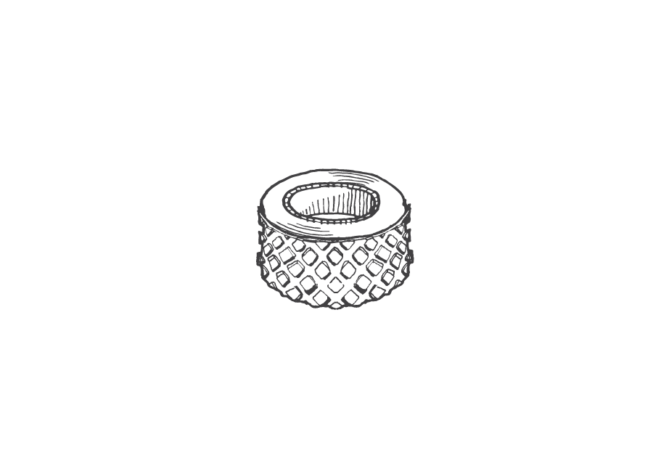 Typical Dimensions Recommend minimum of 4 in. Many roll length and width options are available. Estimated Cost $2.20 / linear ft. for 4 in. 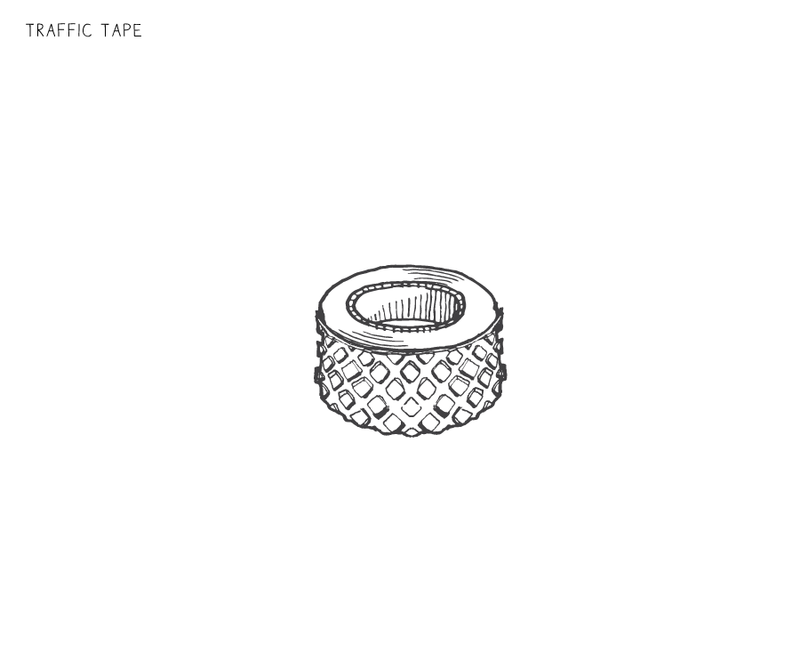 wide tape. Bikeways Striping width recommended at 6 in. for outermost line, 4 in. for inner line. Recommended bike lane width is a minimum of 5 ft. 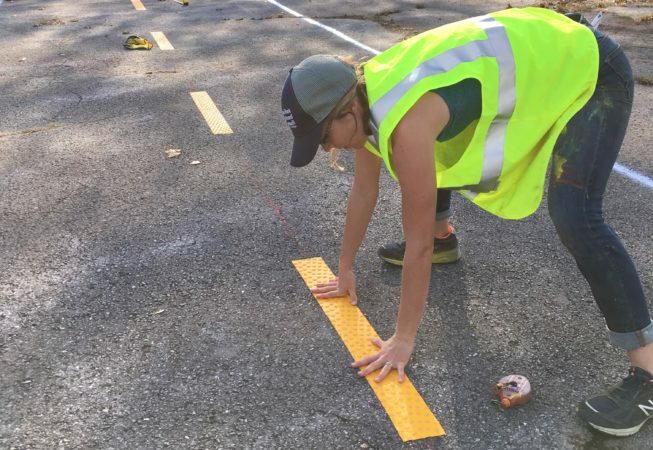 Tape can also be used for intersection treatments or to stripe a bike lane buffer area, with diagonal chevron or cross hatch markings spaced every 8 - 10 ft. if buffer is 2 ft. or wider. Pedestrian Crossings 12 in. 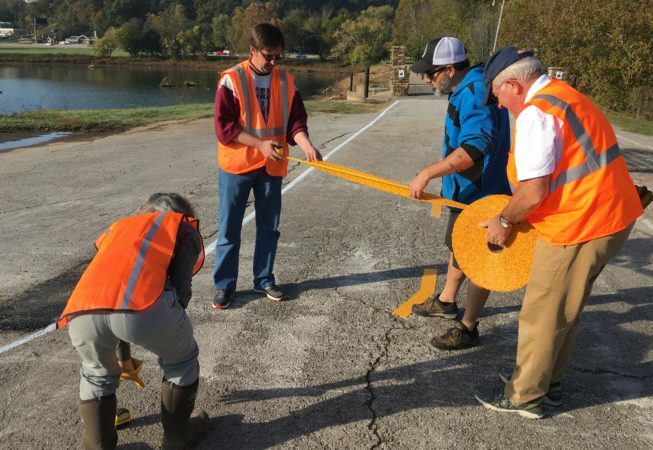 wide tape can be used to create temporary stop bars and crosswalks. A traditional continental crosswalk should have minimum of 12 in. wide stripes, with 12 - 36 in. gaps between the stripes. Curb Extensions / Plazas: Stripe outer boundary of curb extension with double white lines, 4 in. wide. 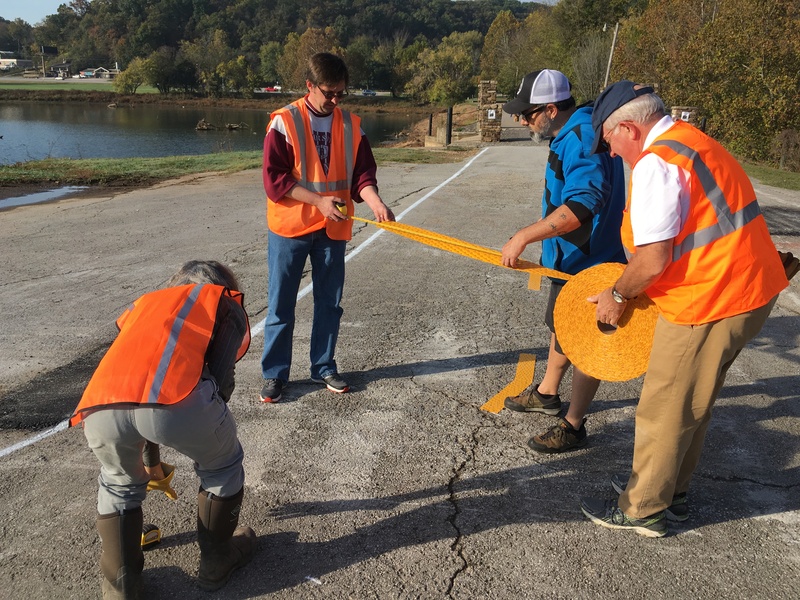 Roundabouts Use tape to stripe outer boundary of the roundabout area or to create splitter island stripes. Stripes should be at least 4 in. wide. May last up to a year or more, depending on local conditions and application method. Higher cost than paint, but durable and easier to remove.